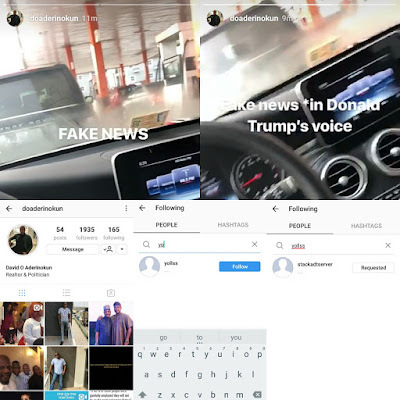 Olumide Aderinokun, the husband of media personality Stephaine Coker, took to Insta-stories this morning to subtly deny reports that he cheated on her. 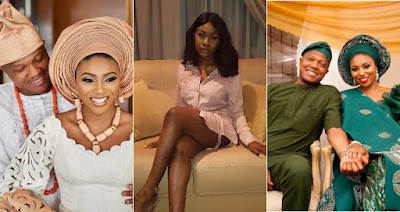 Incriminating screenshots shared online yesterday indicated that he invited a university student, Yolanda Aiyemo (pictured below), to Lagos and paid for her hotel room at Eko Signature inorder to spend time with her. The girl in question, whom Olumide still follows on Instagram, has now locked her account, removed her profile photo and changed her username.